Microsoft Dynamics NAV is a complete Enterprise Resource Planning (ERP) software solution with a wide range of modules to provide an easy and facilitating features to give user friendly greater control to drive your organizations operations smoothly and fastly. Microsoft Dynamics NAV covers wide range of services from Business intelligence, Financial management, Human resources management, Manufacturing, Multi-site and international, Project management, Sales and marketing, Service management to Supply chain management, has the power to quick implement and support your growth ambition. Deploy in the cloud or on your servers. Apps for Apple IOS, Android, and Windows. 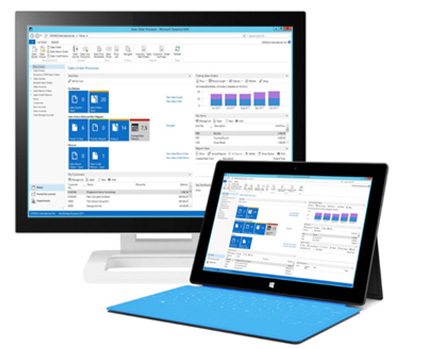 Microsoft Dynamics NAV is one of the bestselling mid-market ERP product in the world. This capability guide is your first introductory document-straight from none other than Microsoft Dynamics NAV team. MetaOption offers the innovative functionality of NAV 2018 at an accessible and affordable price. Microsoft uncovers how they have designed NAV 2018 licensing to help small and midsize businesses jump start their financial insights. With Jet Reports, you get a professional Business Intelligence (BI) tool to present and analyze your data in Excel. Jet Reports integrates Excel directly with Microsoft Dynamics NAV, so you do not have to manually edit data processing. Jet Reports is optimized for you who want quick and accurate financial insight so the company can make quick decisions based on current numbers. You get an economical overview of your dashboards and reports – from pivot tables to graphs to charts. Jet Reports is fast, accurate and easy to use for reporting and analyzing data. The program is easy to use and streamlines your daily work with data. Customers have the choice of purchasing their Microsoft Dynamics NAV licenses up front, or paying a monthly fee to a service provider. Perpetual Licensing for Microsoft Dynamics NAV is designed to help small and midsize businesses get started with an affordable upfront starting price, rapid start tools and built in functionality. With Microsoft Dynamics Perpetual Licensing, customers license the ERP Solution functionality, and access to that functionality is secured by licensing users. Service provider’s Subscription Licensing for Microsoft Dynamics NAV helps keep lower upfront costs through a “per user, per month” licensing fee. Microsoft Dynamics NAV 2018 allows you to get going quickly and affordably with the Starter Pack. For those companies needing more functionality, the Extended Pack can be added to the Starter Pack. The Extended Pack cannot be purchased on its own. Small and midsize businesses can quickly and affordably get started with Microsoft Dynamics NAV. The Starter Pack offers core Financials, Distribution and Professional Services functionality, plus three Full User licenses for one price. Get detailed pricing and special promotional discounts. With Microsoft Dynamics NAV hosted on cloud you can deliver better productivity, mobility and reliability to your users, all with lower costs and easy manageability. Your Microsoft Azure Dynamics NAV solution will run within secure multi-tier data center where information and infrastructure are physically and digitally protected and preserved in the best possible way, with extensive intrusion checks, as well as back-ups made and delivered daily. Eliminates the cost incurred on over-sized on-premises datacenter infrastructure, licenses and IT management. The Hosted Microsoft Dynamics NAV on cloud Pay-as-you-go (PAYG) subscription model offers flexibility with no upfront costs and no long term commitment. You only pay for the computing resources you use. Microsoft Dynamic NAV azure enables robust security, backup and privacy controls in geographically dispersed datacenters and delivers 24×7 global support from Microsoft. Our NAV functional consultants have domain expertise and experience in following areas. Configuration and development of application objects and local granules for localization. Business intelligence and reporting that will give you real-time visibility and analytics that help in tracking performance.